Question: Often we’re asked: When and why did Urban Logic move from New York City to Palo Alto? Answer: Stanford University, Silicon Valley and the San Francisco Bay Area’s ecosystem of embracing change and change-makers. Since 2005, Urban Logic has enjoyed collaboration with some of the best and brightest, and an authentic dialogue about catalysts and conditions for improving regional quality of life. 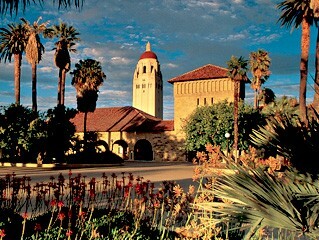 At Stanford’s Center for Internet and Society in the Law School, Stanford’s Center for Legal Informatics leveraging the Law School and the Computer Science School and now at Stanford Engineering, Urban Logic’s founder Bruce Cahan has found allies on campus and throughout Silicon Valley (for instance, at Google, IDEO and SAP). In 2013, we joined in co-creating Stanford’s Sustainable Banking Initiative, with more to follow from there, as described in this poster presented at Oxford’s Future of Finance Conference.